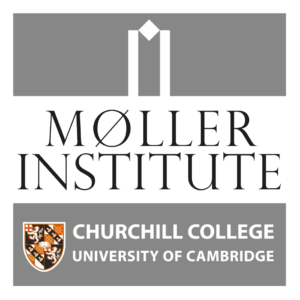 Luminescence created a highly successful integrated digital marketing campaign for a pioneering new senior leadership programme for the Møller Institute, Churchill College, in the University of Cambridge. The Møller Institute, an award-winning centre of excellence that bridges academia and business, was inspired by two great leaders; Sir Winston Churchill and Danish shipping magnate Maersk McKinney Møller. 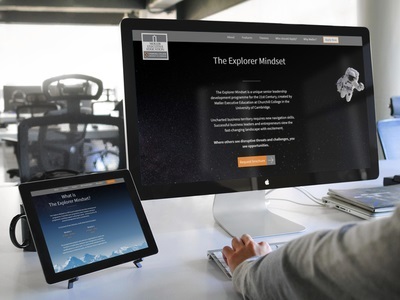 Luminescence developed a highly targeted integrated digital marketing campaign strategy to launch the Møller Institute’s new senior leadership development programme: The Explorer Mindset. By the end of the 5 month campaign, we had generated 324 new senior leader contact details from the target audience and provided a Return On Investment to the client of 544%. The brief was to attract an international cohort of senior professionals with at least 8 years’ P&L experience. They could be professionals in any industry sector, in a company of any size (from high-growth start-up to established Blue-Chip) and must be in a senior role: C-suite, founder, director, partner, head of dept or owner. The target audience also needed to possess an ‘explorer’s mindset’; invigorated by the pace of technological disruption and eager to develop new skills to navigate this challenging environment. 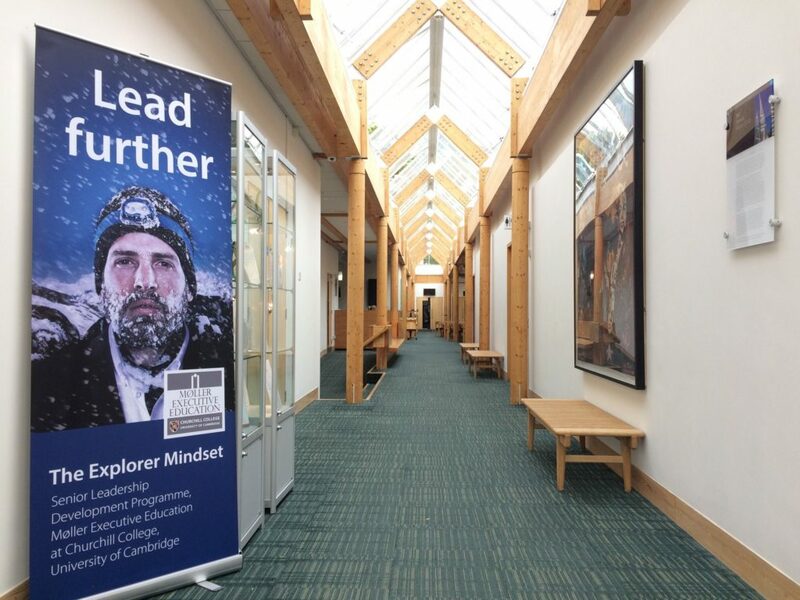 The campaign objective was to achieve 200 new ‘warm leads’ from this target audience who were interested in attending the first Explorer Mindset residential programme in Cambridge, UK. The Møller Institute sales team were then tasked with converting 25 as the first participants on the programme. Using the PESO model of Paid, Earned, Shared and Owned media channels, we developed a strategy to generate leads for the new residential programme. This meant the campaign was fully integrated, though sponsored LinkedIn InMails played a crucial role. LinkedIn’s targeting capabilities made it an especially attractive medium to leverage for this integrated digital marketing campaign. We narrowed the target audience by focusing on industry sectors facing the highest-degree of immediate digital disruption – such as TMT, Retail, Oil & Gas etc – and those based in geographical locations considered to be innovation ecosystem hotspots (Luminescence has previously written reports on this for The Economist Group; click here). Overlaying this target audience matrix is the ‘explorer mindset’ traits. In addition to senior roles, we targeted those with a catalyst for being more likely to need or desire participation in the Møller Institute’s new programme; those transitioning into a new role, currently on gardening leave, who recently sold their business or who received a funding round for their venture etc. Luminescence was responsible for creating a distinct visual branding for the Explorer Mindset senior leadership development programme. With just the programme name, the creative needed to distinguish this programme from its peers and attract those ‘with an explorer’s mindset, who are attracted to the challenges presented by today’s fast-paced disruption’. Developing the explorer metaphor, the campaign utilised a diverse array of leadership ‘heroes’ leading ‘further’, ‘deeper’ and ‘higher’ in uncharted territory, mirroring that of the highly complex, competitive and unpredictable business environment that has emerged in the 21st Century. The paid elements of the campaign – Google Ads and LinkedIn InMails – drove internationally selected senior leaders to a Luminescence-built campaign-specific landing page in order to download a brochure. The brochure download was behind a ‘data capture’ window, providing the list or ‘warm leads’ required by the client. The Explorer Mindset promotional video was shot with a Luminescence associate film crew, using an ‘armour man’ suit that allowed for a first-person perspective while keeping the camera steady. Other, smaller cameras were used to attach to the Møller Centre bicycle. The 3-minute video was shot in a single day. Treatment of the ‘data point’ motion graphics mirrors creative used in the programme brochure. The finished video was hosted on YouTube where it has attracted 623 views (6x more than previous Møller videos). The video was posted on the Møller Institute Explorer Mindset webpage and its on-site video screens in public spaces, and was included in marketing emails. “The team from Luminescence have firmly embedded themselves into the Møller team and culture and have inspired us to confidently differentiate this leadership programme from that of our competitors. “We had a phenomenal interest in the programme from our campaign and selected a fabulous cohort of senior leaders on our first programme from well-known organisations such as AstraZeneca; Sony PlayStation; Blackrock; Marshall Group; the RAF; NHS and XAAR. The campaign was a roaring success achieving its objectives and receiving national recognition for Marketing Campaign of the Year at the Education Resource Awards in 2018. Following the success of the campaign in 2017, Luminescence has continued working with the Møller Institute on the Explorer Mindset programme for 2018/2019, and has received a wider remit for other areas of the organisation.